Let’s talk about an easy recipe and preparation. This pizza is great for parties or a fast weeknight meal. 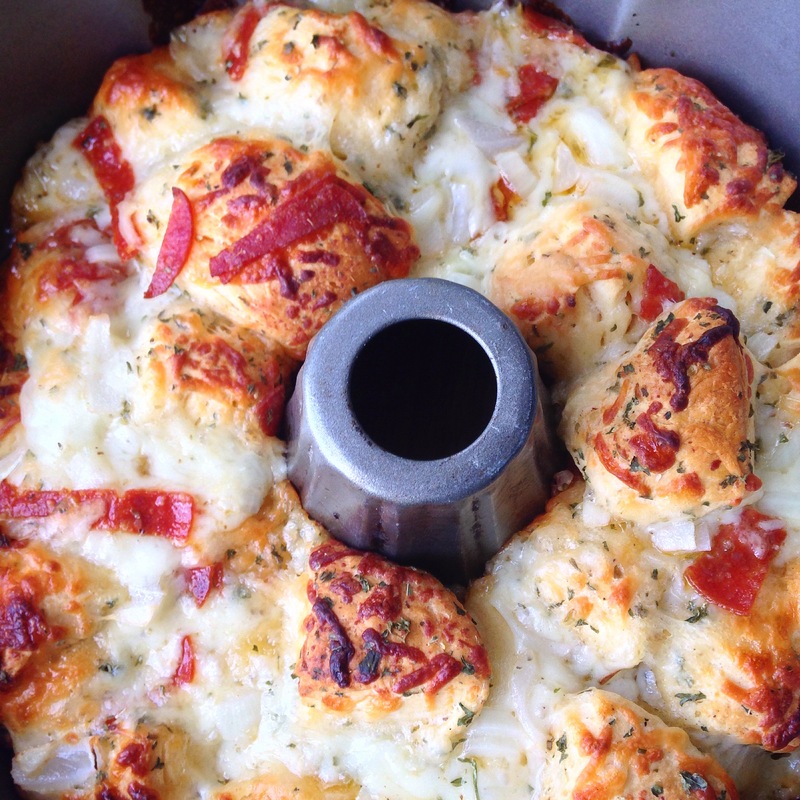 My kids loved that it was a pull apart pizza. All you need are your hands to enjoy it. Everyone had their own serving bowl with warm marinara sauce. Just like a regular pizza feel free to add any topping you would like. Get creative, I think for the next one, I will make a Hawaiian pizza. I hope you enjoy! In a large bowl toss all the above ingredients together until well incorporated. Pour mixture into a bunt pan (you can use any kind of baking pan). Bake for about 15 to 18 minutes until golden brown. Remove from oven and flip it over onto a plate. Serve hot and with a side of warm marinara.